Is there any paperwork or document for the mechanical systems of 13 Skelton Cres, Ajax, Ontario? I need more information about the property at 13 Skelton Cres, Ajax, Ontario. 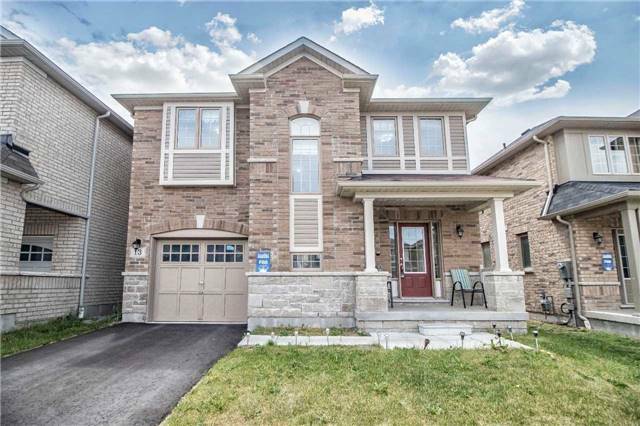 How ist the neighborhood, location and nearby amenities for 13 Skelton Cres, Ajax, Ontario? I have questions about the roof, foundation, insulations and mechanical issues of 13 Skelton Cres, Ajax, Ontario? I need more information about property details. What's wrong with this house? Is this a short sale? Is there any maintenance for 13 Skelton Cres, Ajax, Ontario? What is this property worth in today's market? What are "closing costs", and how much? What steps should I take when looking for a home loan? What price home can I afford? Is my credit good enough to buy this house? What are the best mortgage options for me? How flexible is the seller on the asking price? How low can I consider offering for 13 Skelton Cres, Ajax, Ontario? Immaculate, Bright, Open Concept Layout 4 Bedroom Home Loaded With Builder Upgrades With Include: Hardwood Floors On Main Floor, Oak Staircase With Iron Picket, Smooth Ceiling Throughout, 9" Ceilings, Kitchen Features Upgraded Cabinets, Pantry, Granite Counter, S/S Appliances, And Backsplash, Upgraded Bathrooms, Master Bdrm With Walk In Closet And 4-Pc Ensuite, Upgrade Light Fixtures And So Much More. Come See For Yourself. S/S Fridge, S/S Stove, Dishwasher, Washer, Dryer, Cac, All Elfs, Exclude: T.V & Bracket From Master Bedroom, & Curtains In Breakfast Area & Master Bedroom. Close To Hwy 401,407, 412, Go Transit, Shopping, New School Being Built.